Piccadilly Circus tube: 2 minutes walk. Green Park tube: 7 minutes walk. 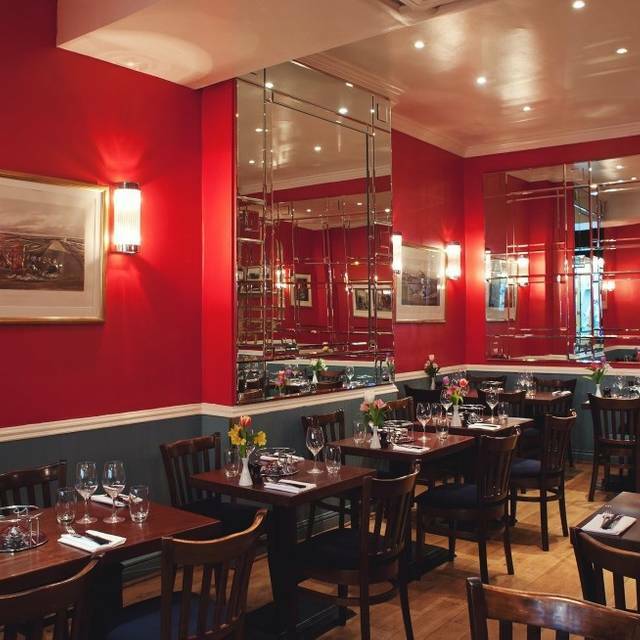 Our restaurant is available for private hire. 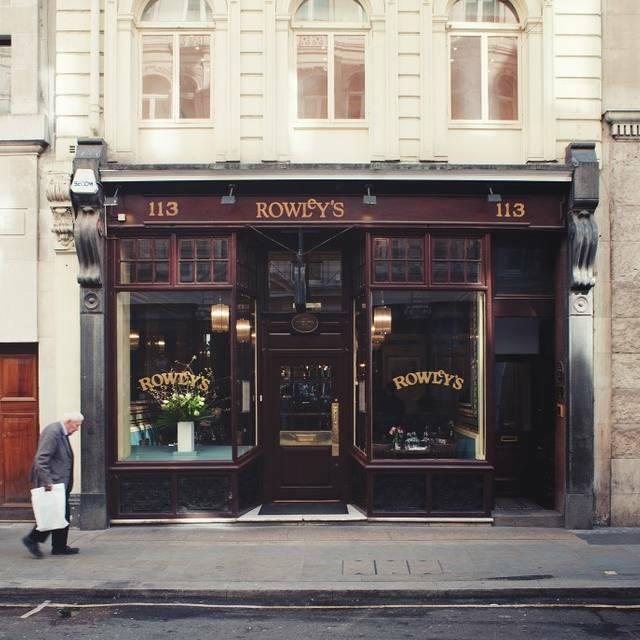 Situated in the home of the original Walls Butcher Shop and located on the very traditional Jermyn Street, Rowley's has kept the charm and history of the 19th century building alive. With the original tiles lining the walls and the soft lighting the restaurant offers a relaxed and comforting atmosphere. 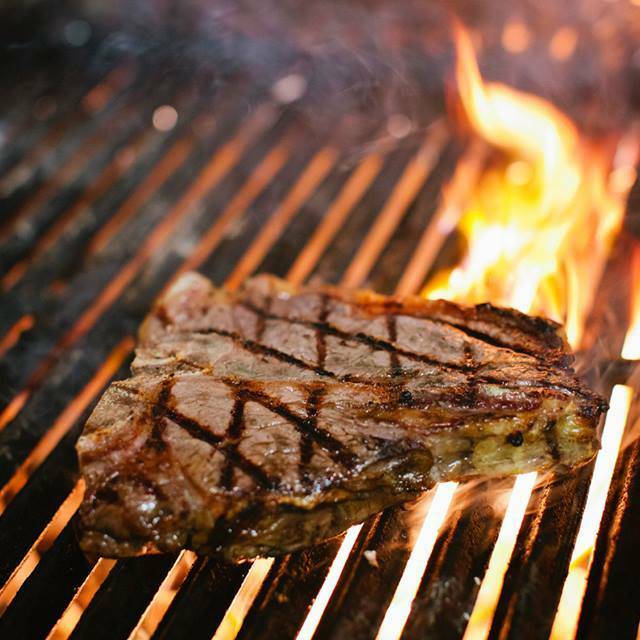 The British themed menu changes regularly but always includes the famous entrecote steak and secret herb butter sauce which is left to sizzle over a burner on the table and accompanied by unlimited french fries. 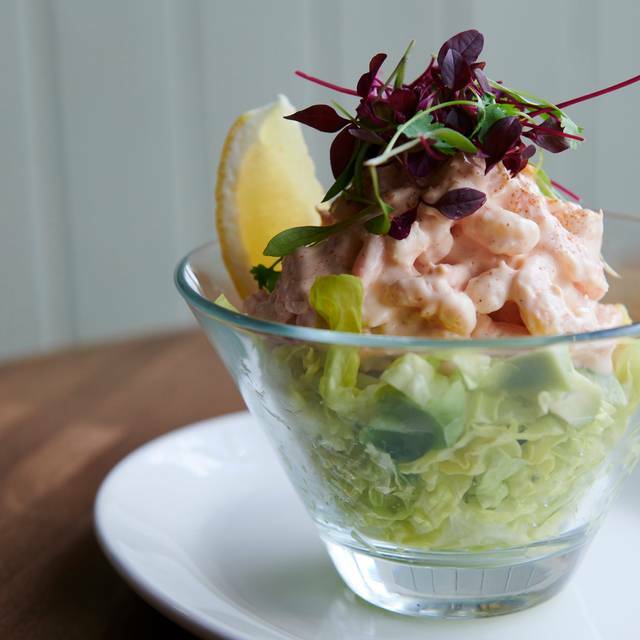 Great for business lunches and pre theatre. 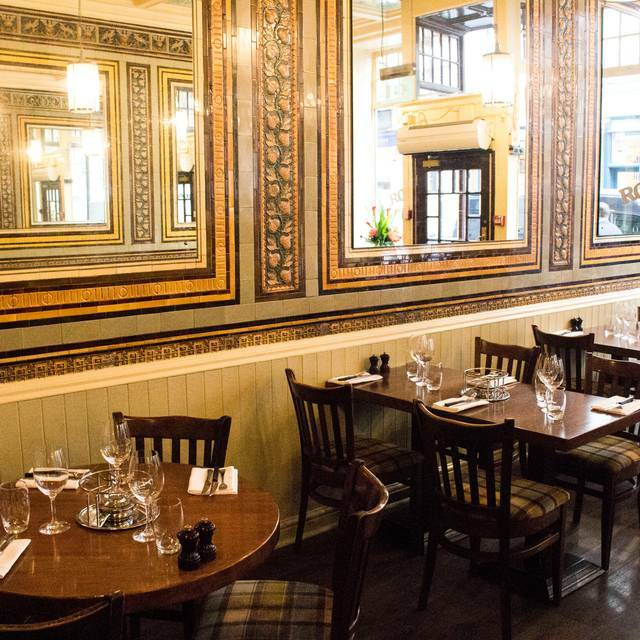 Traveller's welcome to Rowley's - Enjoy a Chateaubriand or Côte de Boeuf to share based on two diners with a Side Fries and coffee. 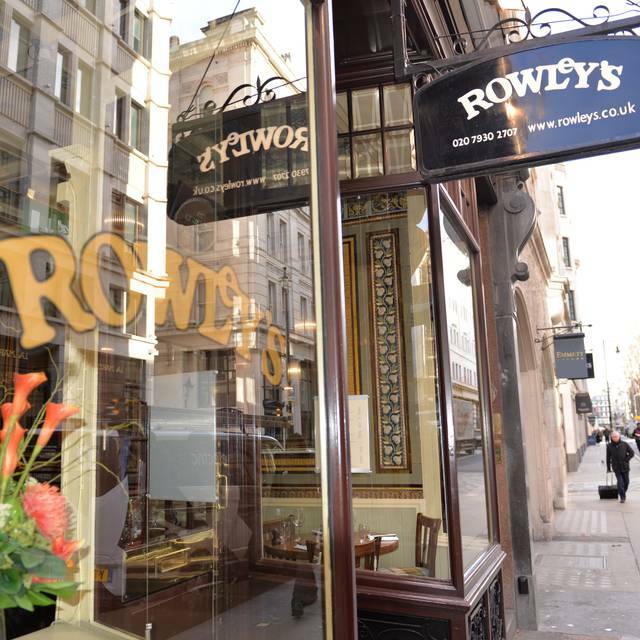 Standard a la carte price of £78 enjoy a 40% off with Rowely’s. Excellent food, service and staff. 2nd visit and just as good as last time. Fantastic experience as always in our favourite London restaurant. Terrific service, delicious whitebait and fishcakes to start, superb entrecote and fillet steaks with roquefort sauce and perfect fries, all washed down with Berry Bros. & Rudd Good Ordinary Claret. Oh, and the chocolate bomb and tarte tatin afterwards were to die for!!! Thanks for once again exceeding our expectations! Had birthday lunch for 4 people on Sunday. The steak was outstanding - and all for a very reasonable price, including the wine! Have been dining at Rowley's for 30 years. Consistently good quality. Disappointed really. We have passed this restaurant many times and it has always looked nice inside. It was Mother’s Day and very quiet. The food was fine but simple with poor presentation. Even with the Sunday 25% discount it was vastly overpriced. The desserts were the best bit. I wanted somewhere 'special' to take my wife for our anniversary and somewhere we hadn't been before. I found Rowley's on Open Table and the reviews are true to form. It is quaint without being too garish. At first the service was a little slow but to their credit the staff realised without a fuss and made sure we had a lovely experience. The food - exceptional. We did go for steaks and they were cooked beautifully. The menu has a good and varied choice so hard not to please just about everyone I would guess. Restaurant almost empty at 12.30 but they had chosen to sit us next to a table of six who were noisy. Had to ask to be moved. Food okay but nothing to rave about - I had fillet my friend duck. It’s really resting on the tourist trade rather than aspiring to be excellent. Would use again if nothing else offered. Food is better at Getti opposite. But that, tellingly, was fully booked and The Balcon is undergoing refurbishment until May 2019. A friend recommend we visit Rowley’s on Sat 23 Mar 19 and we were not disappointed. We booked the table just after 3pm and we’re sat down to eat at 5.45pm. The food was excellent and so were the staff. It was great to see the Berry Bros. & Rudd Ordinary Claret on the wine menu, which went perfectly with the fillet steak that my wife and I ordered. We will definitely visit again and are already looking forward to it. 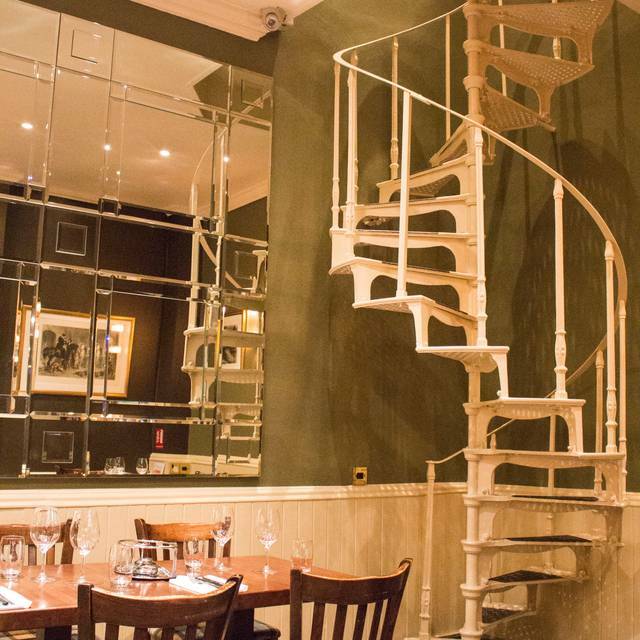 a traditional restaurant at a stone's throw form Piccadilly Circus, reasonably priced considerind galso the location. Good food and nice ambience. It was expensive, for what it was. Advertises unlimited fries, which were not offered after the initial plate. It was many years since a first visit, however it did not live up to expectations. I like Rowleys and the food is good but the total bill for 2 at over £140 is on the expensive side. 4th time at Rowleys as we regularly travel from Birmingham to London to see a show . Food always good abit pricey if you’re not luck enough to get the “special deals “ Had the chateaubriand for two this visit and although it was perfect would not have paid the usual price of £70+ . Staff very friendly and what we really loved was the absence of relentless background music which unfortunately plays in a lot of restaurants. Great food, great service. Really enjoyed our experience in this great restaurant.. The ambiance of the restaurant was convivial, and the setting is lovely. The steak was excellent however the staff at lunchtime were stretched and I was given the impression that i was a burden rather than a paying customer! Overall a good experience, but may need one or two more servers to cover the lunch time shift! I just can't believe that this venue has such low - standard staff. Horrified by Royle's staff's lack of style and client's concern. Luckily things improved a bit with a new waiter, but the girl I initially had to deal with is a disgrace to this place. Nothing like the London institution and style that it should be. But the food was good. Neat and clean atmosphere was good. Amazing service great ambiance wonderful food and a view to die for what’s not to love?! Rowley’s Restaurant is wonderful. The food was great...the service impeccable. The ambiance and the staff were professional, but not stuffy...attentive, but not invasive. Hadn’t been for a while and forgot how good Rowley’s is. Will be back soon. Food was high quality and the service great. The table warmers are a cool addition to keep your meat warm while you eat the unlimited fries supplied. Deserts are divine too. Excellent food. Good service. I will be back ! Lovely meal. We arrived at 5.25 and service starts at 5.30 but we were allowed in early. Food arrived quickly and was delicious. Became a little noisey as it filled up. We haven’t been for a while but v useful for a quick dinner after a show. We were all horrified at the price increases. Wanted steak, had burgers which were good but even they were pricey. Everything else was fine but wow it was expensive. A quiet refuge in the heart of the West End. Pleasant environment. Good friendly service. Would happily return. 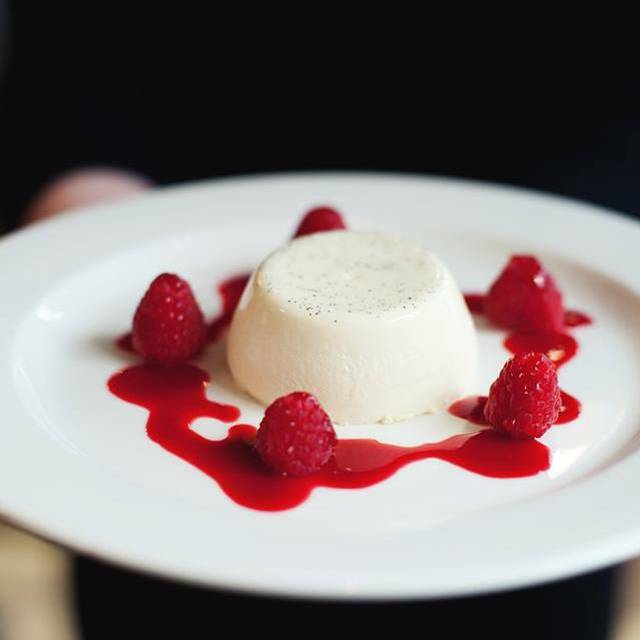 Great food; excellent, unhurried service; pleasant & efficient staff. Highly recommended! The prawn/avocado starter was disappointing, but the rest of the food was excellent. Good service. Noise level acceptable. We had a 25% discount on the food bill which made it good value. Dined here last night, a group of 5 after our tour of Jermyn St. We had a lovely meal. Great steaks, chateau briand & lamb and everyone enjoyed the all you can eat chips !! The chocolate bomb cake dessert was delicious Also really enjoyed the ambiance of the beautiful room. 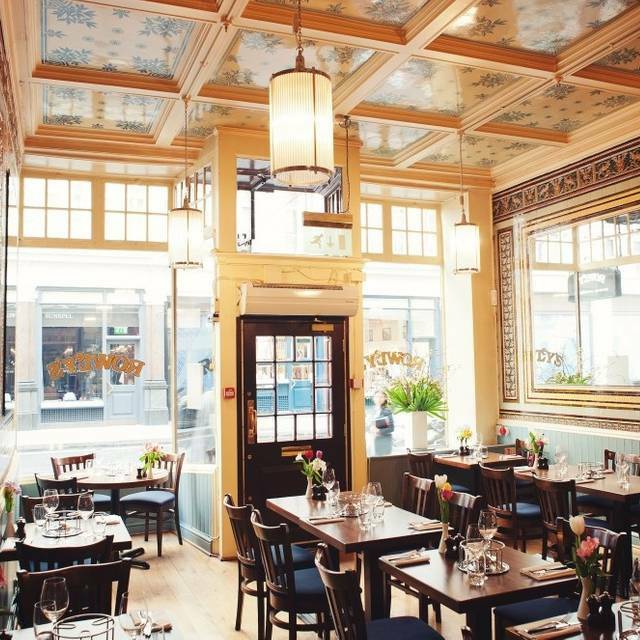 Our favourite restaurant in London. The food is exceptional, the wines fabulous and the overall experience fabulous!! !